Getting the trumpet, you desire has a lot to say about your performances which is the reason most tutor or music instructor choose to recommend Yamaha for their students. We will take our time to review the best from the student section for you to make the right decision. The Yamaha YTR-2335 Series Student Bb Trumpet is a powerful brass instrument that is aimed at students who doesn’t just have interest but as well shows a strong desire to improve in all areas. 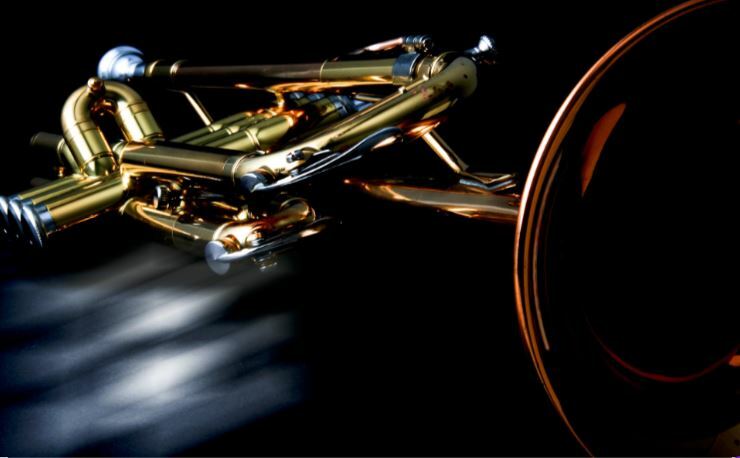 The trumpet is designed and well-constructed to meet the need and demands of all beginners. It is a perfect trumpet for newbies as it is recommended by the national music retailers and most music instructor because of how easy it becomes for students to learn through it. Its performance rate is similar to that of professional trumpets as it produces top quality sound in both lower and upper level. The features are well integrated to ensure it meets the demand and standard for all instrument. It is a perfect one for beginners and students. The bore of the trumpet is relatively large and can be somewhat challenging to handle for young players. It is challenging. At the start, it can be quite hard to manage and control, but with consistent practice, beginners will get to find their way around it. The Yamaha YTR-2335 Bb Trumpet is another prestigious trumpet from the Yamaha 2335 trumpet series. It is our pleasure to bring to your notice that Yamaha YTR-2335 Bb Trumpet old model is no longer in the market for sale, but you can always get the new models. The Yamaha YTR-2335 Bb Trumpet new models offer trumpeters different settings to make sure the trumpet is more comfortable to play for all kind of trumpet players globally. It is a trumpet that is designed for beginners and students who loves trumpet above other brass instruments. It is perfect for all kind of performances as it can be used at different levels by different players of various skills level. It is a versatile trumpet that is very strong and durable to handle all kind of pressure and rigour of all variety of performances. The trumpet has no setback that could cause you to lose interest in the instrument. The only thing that could be referred to as setback is the big or large bore which is quite challenging for beginners and students to use. It takes time for students or newbies to get used to the big size bore of the trumpet, and that can only be seen as the setback with the trumpet. Yamaha is well respected for the production of quality instruments. She is one of the frontiers in the industry, and it diligently has the interest of newbies at heart which is why you will always find any of its products in the market for beginners. Here we carefully discuss the Yamaha 2335 trumpet series thereby outlining the two of the best you could consider in the market with our focus on the features, specifications, the importance and the disadvantages of the trumpet for students.